Ovarian cancer is the sixth most common cancer in women in the UK, with around 7,300 women diagnosed every year. It is classified as a rare disease and, on average, a GP will only see one case every five years. Ovarian Cancer Action has produced a guide for healthcare professionals that contains everything to consider when thinking about ovarian cancer. Ovarian cancer is often misdiagnosed as irritable bowel syndrome (IBS). IBS diagnosis is most prevalent in people in their 20s and 30s. 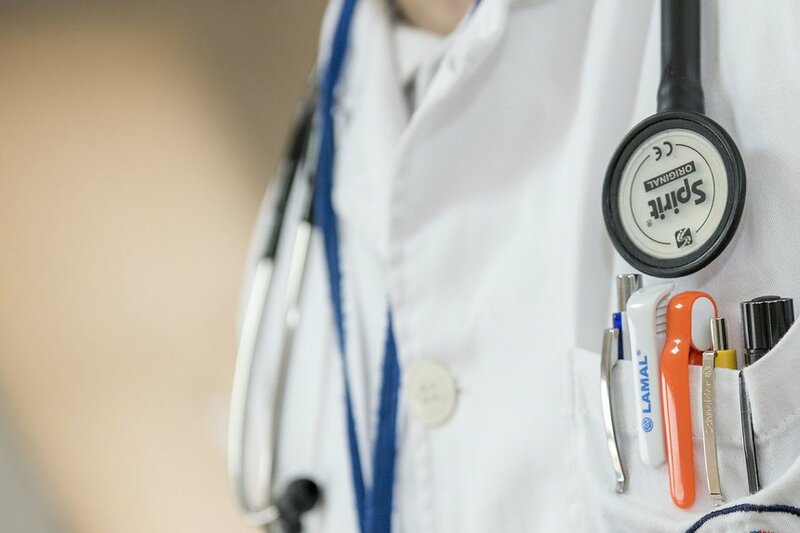 If a woman over 50 years of age presents with a new onset of IBS-like symptoms, it may be a sign of a serious disease, and it is important that ovarian cancer is considered as a differential diagnosis. Ovarian Cancer Action has produced a handy guide to the NICE clinical guideline for ovarian cancer in primary care, including a flow chart for detection. Download a copy of this here. It is important to identify patients who are at high risk of developing ovarian cancer so that steps can be taken to reduce their risk. Our BRCA hub contains everything a patient needs to know about BRCA1/2 gene mutations, including entitlement to testing, implications of having a mutation and information on things such as surgery and fertility options. 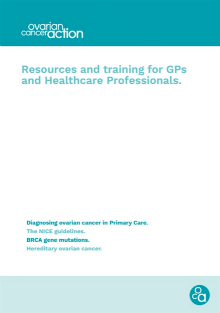 Ovarian Cancer Action has produced a guide to hereditary ovarian cancer especially for GPs. It contains information about how to identify someone who may be at risk of carrying a genetic mutation, and guidelines for referring patients for genetic testing. It also provides tips to help support a patient who has recently found out they carry a genetic mutation, and the role the GP plays throughout the testing process. Download the guide here. Ovarian Cancer Action works with health professionals to help ensure they are up to date and equipped with the latest information and guidelines about ovarian cancer. If you have a patient who has been diagnosed with ovarian cancer they may come to you with questions and concerns throughout their cancer journey. You may find it useful to give your patient some Ovarian Cancer Action information leaflets. If your patient would like to talk to someone who has had or who has ovarian cancer call us on 020 7380 1744 and we can put you in touch. Although everyone’s experiences are different, they might be able to offer some personal, practical advice and give your patient a feel of what to expect. You could also point her to our stories from women who have/have had ovarian cancer.